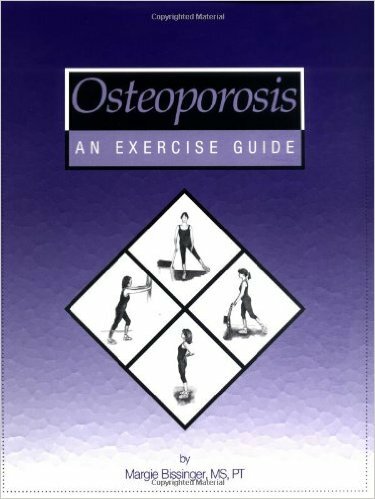 Osteoporosis: An Exercise Guide has been called “one of the most practical exercise guides written to help fight against osteoporosis and low bone mass.” The exercises are simple with large illustrations and step-by-step instructions. This book will start you on your way to improving your strength, balance, and posture. As a physical therapist focused on safety for people with osteoporosis, I offer advice on how to sit, lift and even sneeze in the safest way possible.